​One-of-a-kind ​game experiences for your next party or event! ​​Pick your event type from the choices below​. Have questions? We're here to help. Give us a call a (844) 344-2867, or submit an event request form and a member of our event team will be in touch ​help plan your next great event! ​No work, no stress, and no mess. In just a few clicks, your party will be set and ready for the kids to have a blast! Wonderfly Games parties are great for ages 5 and up. ​Whether you're hosting a bachelor party or a just a fun afternoon with friends, Wonderfly Games is here to make planning a piece of cake. With just a few clicks, you will be ready to go with ​the ultimate rental package for you and your friends/family! ​We offer event packages to fit all school event types, group sizes, and budgets.​ Whether you're hosting a pep rally, greek life event, or student orientation, our goal is to make your event as easy and seamless as possible so everyone has the safest and most memorable experience. ​Wonderfly Games' tournament style ​events are more social and exciting than your traditional ​fundraising tournament. Day or evening play, a compact timeline and fun for all skill levels. Raising money for a cause? We can help with that, too! ​​Entertain​ment for your church event, festival, ​community event, or sporting event has never been so unique. In just a few clicks your event will be set and ready for everyone to have a blast! ​Are You Ready to Escape The Ordinary? 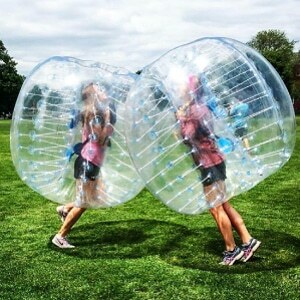 Wonderfly Games is the #1 provider of BubbleBall, Arrow Tag, and Human Hamster Ball party and event rentals, with over 150,000 players to date. We deliver the fun to a convenient location near you and take care of everything, from setup to game coordination, so you can just focus on having fun. Not sure what game to reserve or where to play? Don't worry. Contact us or submit a request and we'll help you every step of the way. Inflatable bubbles that let you bounce, bump, and roll around! Perfect for ages 5 to adult. 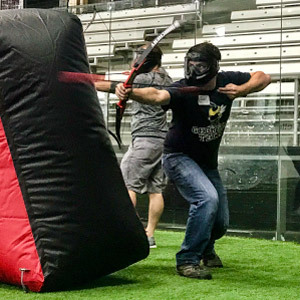 An exhilarating hybrid of archery, dodgeball, and paintball! Perfect for ages 10 to adult. 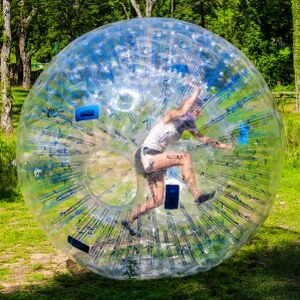 Get inside the hamster zorbs and race to the finish line! Perfect for ages 5 to adult. 98% of reviews rate Wonderfly 5-stars! We've made it easy. Super easy. Book online or call (844) 344-2867 to get started. We are happy to recommend games, packages or locations if needed. Our trained coordinators will deliver all game equipment, set everything up, and stay to provide instructions and ref games. Includes pricing, availability, locations, and more!